This is Japan's Emperor Akihito and Empress Michiko celebrating their 60th wedding anniversary — just three weeks before they relinquish their throne. The wedding was held in 1959 and made Akihito the first future emperor of Japan to marry a Catholic-educated commoner. The 85-year-old emperor will abdicate the throne on April 30 after reigning for three decades. 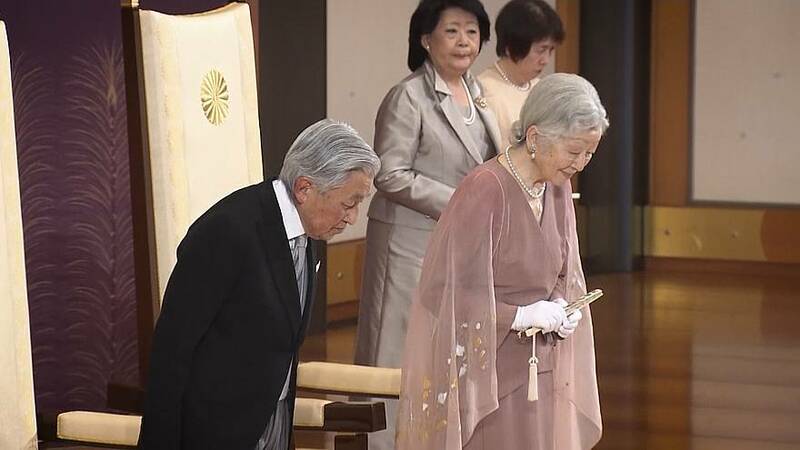 He will hand over to his eldest son, Crown Prince Naruhito, the next day.